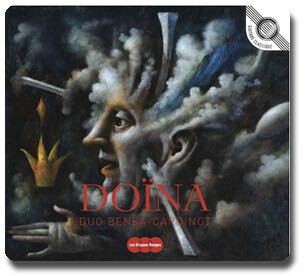 Doïna, musique d’inspiration populaire is the new CD of Cécile Cardinot and Olivier Bensa. Together they form the duo Guitares en bois . I received Doïna by snail mail, this time without a personal note. But the CD, including Verano Porteño, makes up for it.